Nearly thirty percent of Free Team Fortress 2 players are spending their hard earned cash on paid content, which both delights and confuses Valve. According to Valve co-founder Gabe Newell, Team Fortress 2 has a "twenty to thirty percent" conversion rate - that is: free players spending actual money on in game items - compared to other games which can only manage two to three percent. What's driving such high sales? He has no idea. "We don't understand what's going on," admitted Newell at a recent WTIA TechNW panel. "All we know is we're going to keep running these experiments to try and understand better what it is that our customers are telling us." "And there are clearly things that we don't understand because a simple analysis of these statistics implies very contradictory yet reproducible results. So clearly there are things that we don't understand, and we're trying to develop theories for them." 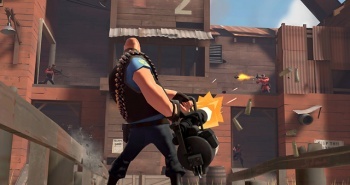 Valve switched TF2 over to a free-to-play model back in June, hoping that increased sales from the Mann Co. store would replace the revenue previously generated by game sales. It proved successful, but F2P players have met some hostility from the game's established fan base, with some premium players going as far as to use server-side mods to boot F2P players from private servers. Currently, F2P players can only find, craft and carry limited number of in-game items, and they cannot trade with other players. However, buying any item from the Mann Co. store grants the F2P player the same rights and privileges as a player who bought the game before the great free-to-play switcheroo. It makes sense to me, of course, there is something very appealing about those hats.